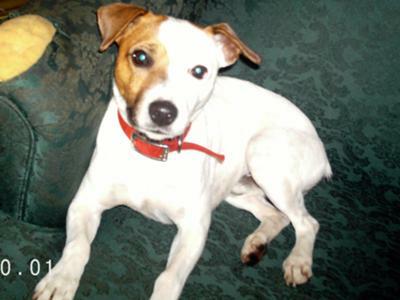 ODDIE is a 16mo old JRT, he is a very spoiled member of the family by all of us. He's a very active and attentive dog, sometime he try to be in charge of every little thing but at the end, he's just part of the family. We all love Oddie with his sillyness and his tricks.